The Golf Industry has seen better days. According to the US National Golf Foundation, the number of players has steadily declined from over 30 million in 2005 (pre-recession), to 24.7 million today. 680 US and 158 Canadian courses out of a total of approx. 17000 (pre-recession) have closed. Maintaining Golf Clubs with maximum efficiency while keeping costs (time) and resources (read “man power”) under control has therefore become paramount. MapGage.com helps golf club managers to realize just that. Drone mapping — or 3D surveying with drone imagery photogrammetry software such as Pix4D — provides relevant visual and quantitative information for golf course planning. 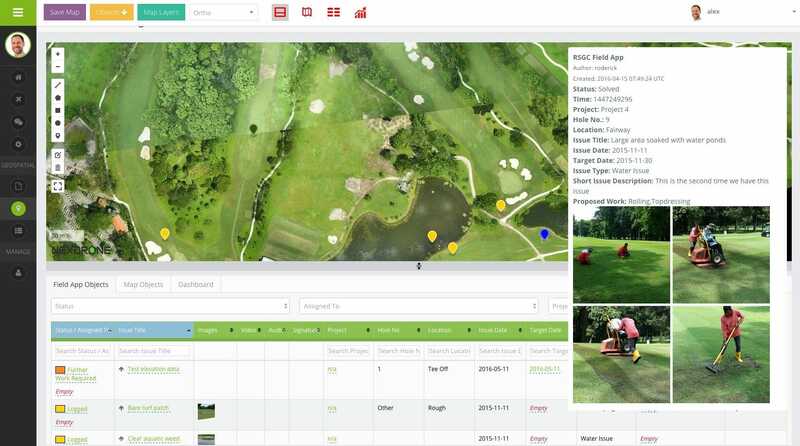 MapGage.com allows to upload their drone maps and start using these to create work orders, delegate and monitor tasks around the club and efficiently manage golf course maintenance. 25–35% of total club revenues go towards golf course maintenance costs. 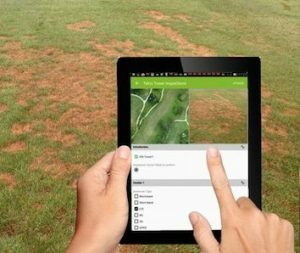 By using drone maps of a course, management can better monitor the green and conduct hole-by-hole analysis, especially of large course. MapGage then allows to take these findings and turn them into detailed work orders that can be assigned to individual team members. These can then use the MapGage FieldApp to report back results to the MapGage Dashboard. Assuming an average Golf Club spends 500’000 USD of golf course maintenance and MapGage improves maintenance efficiencies by 10% that would correspond to an efficiency gain of 50’000 USD per year. The FieldApp can also be used to identify new issue while walking the course and report these back to the Dashboard where they can be turned into work orders. Besides Golf Course Maintenance, MapGage also allows to use Floor Plans of the Clubhouse to create a Building Maintenance FieldApp which can then be combined with detailed drone images of the Roof and Open Space sections (e.g. pool area) around the clubhouse, to monitor work order and progress. Thus further increasing value to club managers and owners. 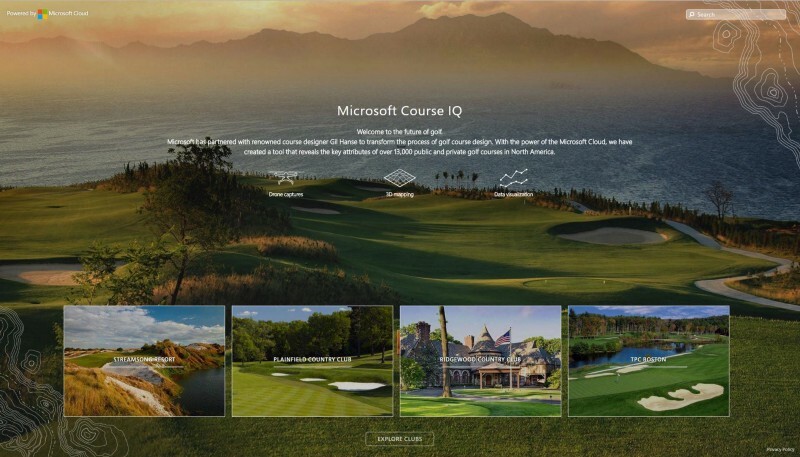 For online marketing and communication strategies, golf course owners are also adopting interactive 3D models as a tool to engage their clients. Imagine trying to decide on a golf destination, says Barba of Summit Drones, if you are hundreds of miles away and want to spend one day golfing your dream course! With MapGage you can also share specific maps and 3D Models with the public and monitor their interaction with your media. In the coming month MapGage.com will post example of successful implementations of drones in golf course management and operations combining drone maps, user collected data around the golf course using the MapGage FieldApp and Golf Sensors. Do you manage a Golf Course and want to be ahead of the Game? Start using MapGage.com today! Original Article appeared in https://www.suasnews.com/2017/02/three-reasons-golf-courses-next-drone-mapping-territory/ On – 15 Feb, 2017 By Press. Come and visit MapGage at SEA 2019 in Singapore! MapGage helps companies collect and manage geospatial data, visualize IoT and manual field data on top of satellite or drone maps and take actions with it’s unique location based mobile process flow builder. Field teams are sent to specific locations on a map with detailed case instructions and can report back their findings and work results to a map based company dashboard. Copyright © 2015-2019 Marine Data Intelligence. All Rights Reserved.